I officially feel old! Earlier this week, my oldest son and I attended his high school orientation as a rising 9th grader. Yes … we will have a high-schooler starting in the fall. This orientation covered things that your child can expect when they get to high school. My how things have changed since I graduated high school almost 30 years ago! I came away from this presentation impressed with the feeling my kid would be prepared for college one day by attending high school. 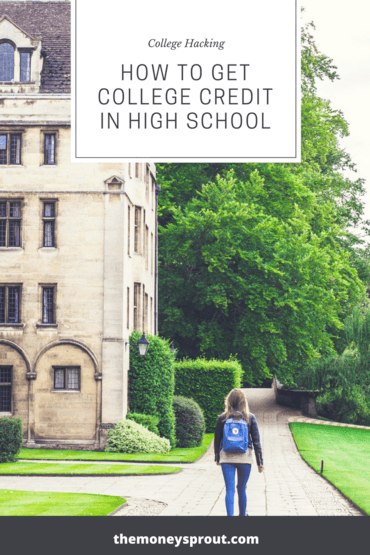 I know that I was not ready for college when I graduated high school … so I was a bit surprised at just how much is expected of kids these days. One interesting topic covered at the meeting was selecting classes for the freshman year. Most of the 8 courses my son is required to take his first year are already planned out. For example, every student needs to take Phys Ed/Health their freshman year. Everyone needs to take an English, Math, and History class as well but there are some options there. Then there are some fun electives (over 30) to pick. Some of these electives actually look like my son could learn something that he can use in the real world … like Microsoft Word and Excel. But what really got caught my eye was learning about the AP Courses that are available to students. Advanced Placement (AP) courses are college-level classes that can often be taken by students in high school. This program was created by the College Board, and offers college level curricula and exams to high school students. College credit and/or advanced placement can be rewarded to students who score well (usually a 3 or higher) on the AP exam that follows the class. 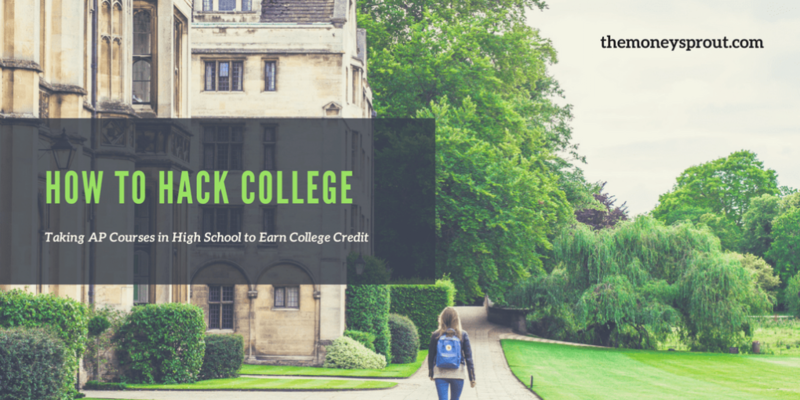 This gives future freshmen students an advantage of lowering their tuition and earning college credit before they even step foot on a college campus. There are several different AP courses available including – World History, Biology, Chemistry, Calculus, Computer Science, Statistics, Music Theory and more. For a full list, check out the list of AP Courses. In the school district in which our children attend, freshmen high school students are allowed to enroll in 1 AP course for the entire year. Based on the workload of an AP class, the school district doesn’t want to overload new students with too much college level instruction. To be honest … the school counselors seemed to advise against taking Advanced Placement courses as a freshmen because of the rigorous workload. After talking it over with our son and getting good recommendations from some of his middle school teachers, he is planning to take AP World History starting next fall. This course along with his other courses will be challenging. But we know his work ethic and support from his mother and I should put him in a position to succeed. By enrolling in AP World History at his school, he will begin class next fall and take the AP exam for the course the following spring. Depending on his score on the exam, he could eventually earn college credit. Earning college credit for an AP exam depends on several different factors. First, the score on the exam is a big factor in earning college credit. For AP World History, a score of 3-5 (on a 5 point scale) “could” earn your student college credit. I say “could” because the score also depends on the College or University your child decides to attend. For example, using the AP Credit Policy page on the College Board website, I see a score of ‘3’ or higher on the AP World History exam can earn a student 3 credit hours at a local state University. However, a different state University requires a score of ‘4’ or higher on the AP exam to earn the same 3 credit hours. I see that an out of state University will give a student 4 credit hours for getting a score of ‘4’ or higher for the same AP World History exam. And just for fun … Yale and Harvard don’t even list the AP World History exam as an option. The thing we need to keep in mind is that taking this course and passing the exam does not guarantee any future college credit. However, it does give our son options down the road if he were to pass the exam … depending on where he decides to attend College. It could also make the cost of paying for higher education for our son a little bit cheaper! And speaking of the cost of higher education … I need to point out that taking an AP exam does come with a cost. Currently, the cost to take an AP exam runs $94 per course. The good news for us is that our state currently covers the cost of taking these exams. That is a huge benefit for students who are able to take and pass these courses and exams … at least for public and charter schools in our state. Assuming our son can pass his AP exam, he will have basically earned 3 college credit hours (depending on where he attends) while also earning high school credits. And all of this at $0 cost to us. Taking AP courses and passing the exams (while in high school) is yet another way we plan to “hack college” for our kids. It is just another tool that we can use to help lower the overall costs of higher education for our kids. Our main goal is to have all 3 of our children graduate with a 4-year degree with no debt for them or us. That is how my wife graduated from college. And that is how I graduated from college – with zero debt. We want to help put our kids on the best path towards their own financial independence one day as they enter the workforce. Graduating college with no debt (or very little) is critical step in those plans. There are many questions we still need to answer when it comes to hacking college for our kids. But we have taken steps to put some tools in place. For example, we have 529 accounts setup to help pay for a portion of their education. We also plan to explore dual enrollment as a way to take courses at a local community college while still in high school. When our son starts high school next fall, he will already have 2 high school credits from middle school classes he is taking right now. This little hack will help him to eventually focus more on AP classes and dual enrollment as he continues on with high school. The list of tools and options to help hack college won’t stop here either as we continue to learn more. What tools have you used to help hack college for your kids or even your own education?